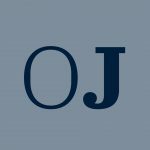 In his elegantly written and profound article, James Stewart argues in favor of abandoning, in international criminal law, the traditional distinction between perpetratorship and complicity. He favors a unitary solution: every person who substantially contributes to the commission of an international offense should simply be convicted of that crime, with individual differences as to the degree of responsibility to be taken into consideration only at the sentencing stage. Stewart’s proposal will immediately appeal to any lawyer who has ever ploughed through the intricacies of the distinction among several modes of liability, be it under domestic or international criminal law. The lives of judges, advocates and law students alike would be easier if they did not have to worry about the fine lines between aiding and committing, or between instigating another person to commit a crime and using that person as an (“innocent”?) agent. With regard to the law of complicity, it is not difficult to find examples of contradictions and inconsistencies in the jurisprudence of international criminal tribunals, and Stewart points them out with wit and precision. I fully concur with this part of the author’s analysis. For example, the fact that some legal systems require a “substantive contribution” for aiding and abetting clearly is a red herring invented for the purpose of allowing judges some leeway in assessing the criminal liability of persons who are marginally involved in the “core” crime. Depending on the way one interprets this concept, “substantive contribution” can mean a little less or a little more than providing a sine qua non contribution to the actus reus. Likewise, the contested issue of whether an accomplice can act with a lesser degree of mens rea than the perpetrator leads to intractable quandaries: Isn’t it unfair to hold A liable for complicity in a special intent crime when he lacks that special intent? But why, on the other hand, should B who knowingly helps a perpetrator of genocide go unpunished just because B does not act with genocidal intent? Much of this has to do with the mess that international criminal law has made of mens rea, but it remains true that the distinctions of various levels of liability (and the cracks between them) lead to particularly unconvincing results in the area of complicity. Interestingly, Stewart places the blame for this unfortunate state of affairs not on international criminal law as such but on the fact that the equally (or perhaps even more) unsound distinctions and antiquated concepts of various national legal systems have, in an unsystematic fashion, made their way into the theory and practice of international criminal law. There is some truth to this. Unfortunately, the unsystematic fashion in which international (criminal) law develops implies that, at least initially, international conventions and case law do not necessarily reflect the “best” solutions that are on the market, but that they tend to adopt those which happen to be foremost on the minds of individual international negotiators and judges. But is there a viable alternative? It would be nice to have James Stewart or another person with a mind as systematic as his as a universal legislator on criminal law. But as things stand, we will have to make do with the slow and cumbersome process of trial and error by which international law moves forward (if that is indeed its direction). The law of perpetratorship and complicity is an example in point. Even within less than 70 years since Nuremberg, there have been so many attempts at coming to grips with the vexing problem of the “perpetrator behind the perpetrator”, the responsible leader who avoids to get his own hands covered with blood: conspiracy (Nuremberg), command responsibility (Tokyo), joint criminal enterprise (ICTY, ICTR), and most recently indirect co-perpetratorship (ICC Pretrial Chamber). None of these concepts were simply invented by individual judges or scholars, but they were all taken and adapted from roots in domestic law. What I find surprising is the fluidity of international criminal law; the fact that some of these concepts, after testing, have survived, others have been (or may well be) discarded, others may yet have to be altered in order to fit their purpose or to gain widespread acceptance. Certainly the interaction between domestic and international criminal law is not as rational and well-organized as we might like it to be; but we should on the other hand be grateful that there exists, for intricate legal problems, a treasure trove of domestic solutions from which international criminal law can draw. Let me return to the substance of Stewart’s proposal. 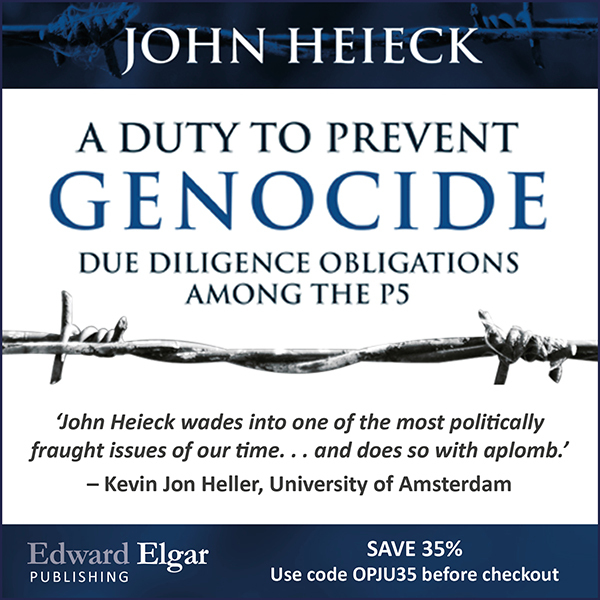 His solution is simple: “… only a causal contribution and the mental element required for the offence would be necessary; all those who contribute to international crimes would be deemed perpetrators, dispensing with all other forms of legal classification” (p. 5). I don’t think that there is a serious linguistic obstacle to this solution; any conceivable problem with the legality principle (see p. 46) could be resolved by a clause in the General Part declaring exactly what Stewart proposes, namely that perpetration encompasses any “contribution” to the perpetration of the crime in question, regardless of whether it is direct or indirect (through another person). Stewart also correctly points out that there exist several domestic legal systems that operate on the basis of a “unitary” understanding of perpetration. But does that solution adequately reflect the substance of each participant’s wrongful conduct? True, if we require sine qua non causation as a necessary element of any “contribution”, there is no logical distinction between proximate causes and those that are a bit further removed: providing the secret code for the bank safe is as much a cause of the theft offense as the thief’s taking the money out of the safe box. But in other cases, as in instigation, we need to assume that causation actually runs through a person’s mind in order to maintain the equation causation = contribution. And we would, on the other hand, “lose” all those persons at the margins of a crime who do not provide a provable sine qua non contribution, such as the bystander who cheers on the hoodlum who is in the process of beating up an innocent victim. Which may not be a great loss to the criminal law, but still might hurt sensibilities, especially in the area of the grave crimes that are subject to international criminal law. More importantly, although all causal factors are logically equal they are not necessarily equal in a normative sense. Assume that sergeant P commits a war crime by killing a dozen civilians. If private Q has helped P round up civilians, knowing that they are about (or likely) to be killed by P, is it really correct to say that the wrongfulness and blameworthiness of Q’s behavior is equal to that of P, and that they are both perpetrators of the war crime of murder? ‘Of course not’, Stewart would reply, ‘that’s why Q will receive a lesser sentence than P.’ But isn’t that dodging the question? Shouldn’t substantive law indicate to the sentencing judge where more blame lies and where the sentence should accordingly, if all other things are equal, be more severe? The normative gradation between several participants in a crime can be difficult, and I concede that sometimes too much ink and effort has been invested (especially among German scholars, but perhaps also in international criminal law) in drawing very thin lines. But still I think that the effort must be undertaken, and it is too easy a way out to leave it all to the sentencing judge. If Stewart’s proposal were adopted, sentencing judges would have to make those very same difficult decisions that Stewart wishes to leave open, and they would have to do so without any guidance by the law-giver. Does it make a difference for a military commander’s responsibility whether the person whom he orders to kill an innocent victim is himself a responsible agent? Does it make a difference whether the lawyer who advises a fugitive génocidaire about how to avoid extradition does so in the “normal course of his business”? These questions do not go away, and international criminal law still needs to struggle with them. Stewart offers an attractive path out – but that path leads only from the conviction to the sentencing stage.